Ready for better acoustics in the place you spend the most time? Check out our top 5 benefits to using acoustic paneling in your home. Between work and home, we spend the majority of our time in one of these two common locations (though most of that time is sleeping at home!). We cook our dinners, clean, spend time with friends and family, read books and watch hours of entertaining content from the comfort of our homes. But can something like the acoustics in your home actually be causing discomfort? With hardwood, glass windows, concrete, tile, bare walls, and other hard surfaces in many homes today, sound can reverberate at levels that don’t create the best environment for relaxation and enjoyment. Having proper acoustics at home is an important issue that can easily be overlooked. While planning and evaluating your home in order to improve each room might require some professional help depending on the unique challenges you may have, the results from better acoustics are well worth it. Consider these top five benefits, and you’ll be testing and planning out the possible solutions for your home without delay. Acoustic panels are a simple way to get better acoustics in your home. Many panels come with quick, easy installation methods. While soundproofing keeps sound from escaping a room and is often done through internal wall installation and sealing gaps, acoustic panels can improve the sound quality of the room with general principles, some planning, and a little physical effort. Panels can be mounted with anything from magnets to metal plates and more. If you can hang a photo on your wall, you can install most modern acoustic panels without issues. If you avoid hanging photos like a cat avoids a bath, then look into professional installation. Some local companies may include this service for free with the purchase and delivery of acoustic panels. Whether you have kids, roommates, or guests, you may not want others listening in so easily on your conversations. Hard surfaces bounce sound around a room, but sound-absorbing acoustic panels are the key to making confidentiality simple. Because the main function of many acoustic panels is to absorb sound, installing acoustic panels on your walls and ceiling can lead to increased privacy. Echoes carry conversations while deadening a space with better sound absorption can prevent voices from carrying too far away. This benefit may not be so obvious — acoustic panels can mean more comfort! Not so much in the way of sitting per se, but definitely in the way of comfort for your ears and head. Noise in your house can cause certain activities to eat away at your peace and quiet. This can leave you feeling irritated, unnerved, and even in pain from too much sound hitting your ears and needed to be processed by your senses. Hanging acoustic panels to absorb sounds can be a simple yet effective part of your entire acoustic plan that leads to happy ears. In the same vein as acoustic panels providing more comfort, better sound in your home can lead to less stress. Acoustic panels can stop reverberations and loud noise, both of which can frazzle nerves. 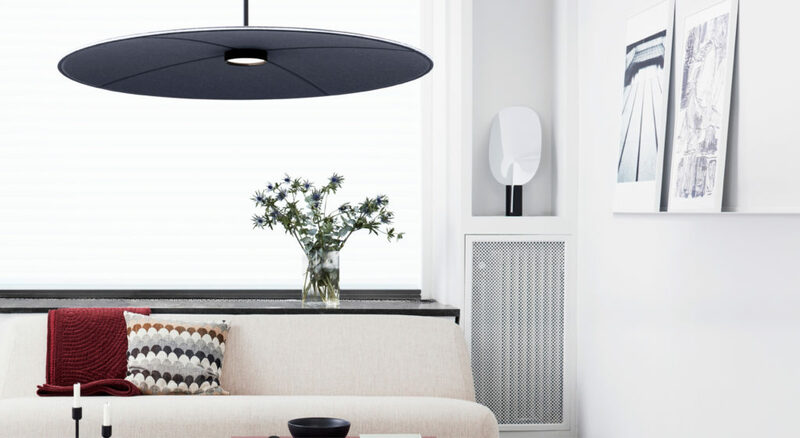 The last thing just about anyone wants when they come home is more stress, so planning and installing acoustic panels in the right positions throughout your home for better sound is another not-so-obvious benefit. Who doesn’t want a theatre quality experience at home without dropping thousands of dollars on an expensive sound system? The right acoustic panels, plus acoustic solutions like bass traps, can take a decent middle-of-the-road sound system and make it sound like you spent *way* more the system. Acoustic panels placed on the walls that absorb sound are great, but some also feature beveled edges and other design aspects to diffuse the sound as well. A room that has too much sound absorption can sound uncomfortably “dead.” Panels that break up and redirect sound help a room sound natural while keeping sounds clearer and better overall. So what’s the takeaway? Proper acoustics in your home is important. Don’t overlook this aspect of both your mental and physical well being. Well-designed acoustics can be music to your ears!